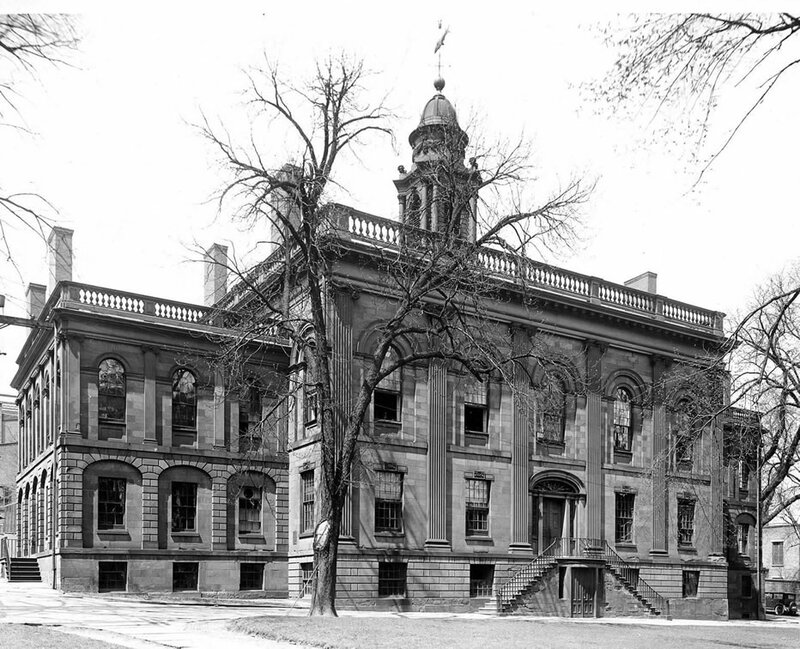 In the semi-centennial period, many boys attended Albany Academy for just a few years to pick up enough training for business, surveying, or perhaps a little Latin. On the other hand, in its upper grades, Albany Academy overlapped with colleges as an institution of higher education, so not all of its attendees intended further study, or, if they chose to go on, they enrolled in the junior year at a college. Some went directly to law school or medical school. 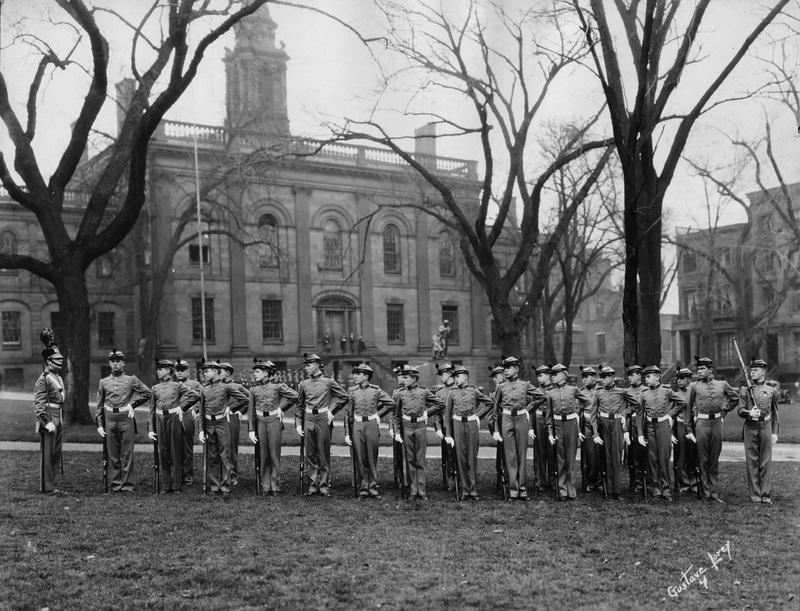 Note also, that when the Academy started, there were only four colleges in the state: Columbia, Union, West Point, and Hamilton. Our Academy is a biographical dictionary of data compiled by Albanians Dr. Henry Hun and Dr. Henry H. Hun, deceased in 1924 and 1972 respectively. These alumni collected all the information they could discover in the Academy records, including parents, addresses, prizes and positions. Other data include colleges attended and occupations pursued. 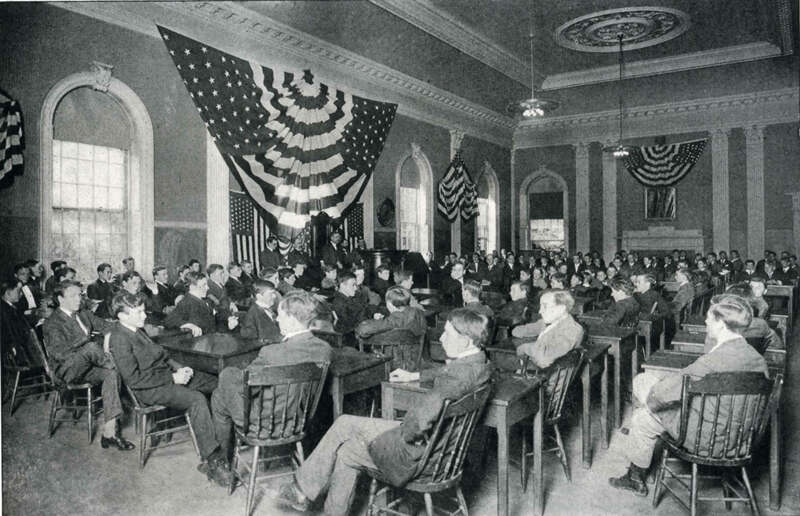 Every attendee of Albany Academy from 1815 to 1915, the first century of the school's existence, is included. Since there were students below the senior class in 1915, some of the entries continue into the 1920s. The data have been edited and extended by alumnus, former teacher, and archivist, John T. McClintock. 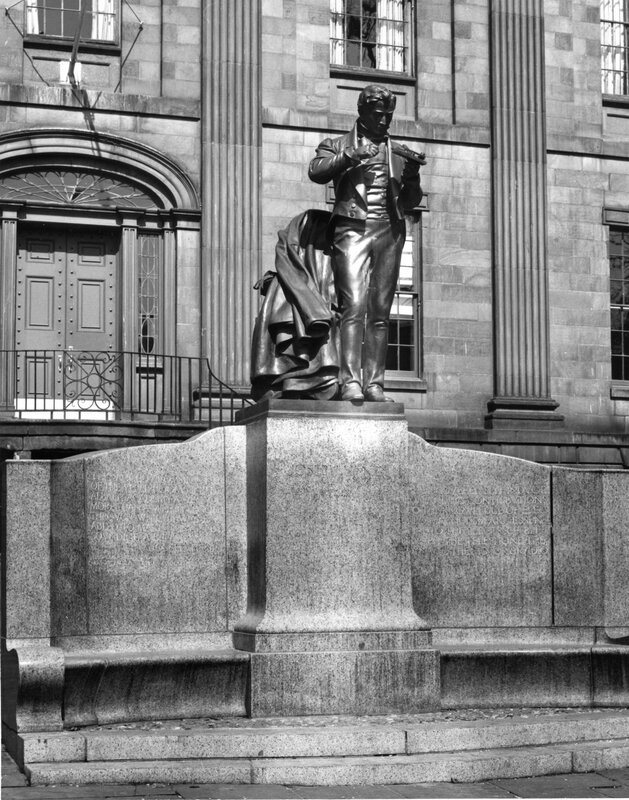 In the background is the Joseph Henry Statue. It was presented to the City in 1928 by Albany Institute of History and Art. 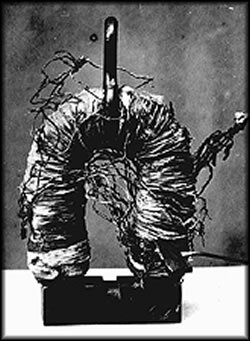 Henry here first performed his experiments in electromagnetism and telegraphy. In Our Academy, a book of 844 quarto pages, 550,000 words, there are 7,875 student entries, representing 2,572 surnames. 556 of these have genealogies beyond the grandparents, also collected by the Dr.s Hun. Some extend to seventeenth century immigrants. A few go back to the Mayflower. 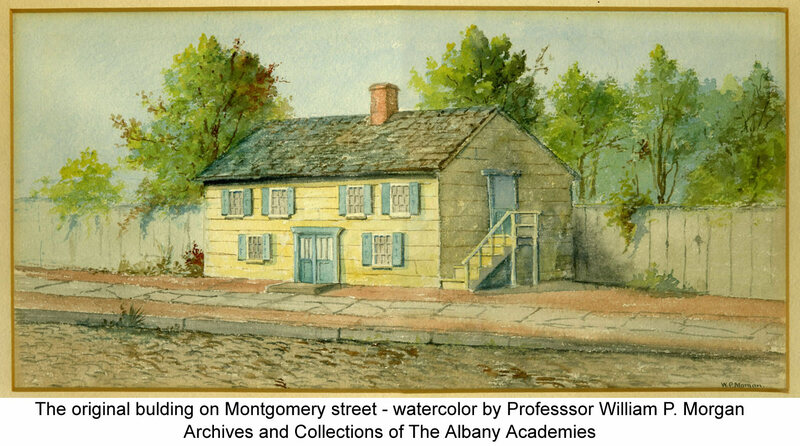 Of interest to local historians are genealogical and family history data of all the vigorous Albany families of the early nineteenth century, the Van Rensselaers, Ten Eycks, Townsends, Pruyns, etc., all in one place through their connection to the school. A six-page prospectus of Our Academy with sample entries is downloadable in the side bar at right. The document provides ordering information. From the previous site for Albany Academy for Girls, view the origins of a unique American institution. Gathering data and code from previous sites, this new site is under construction (4/2/2019). To get a synopsis of career data of first century Academy alumni, you may download a PDF copy of the full document shared in part by John McClintock, accepting the Outstanding Alumnus Award of 2017.